If you are a 17-year-old looking for a summer job, a number of industries are open to you. But keep in mind that jobs and pay are variables based on your location, the difficulty, and the time it takes to complete each job. 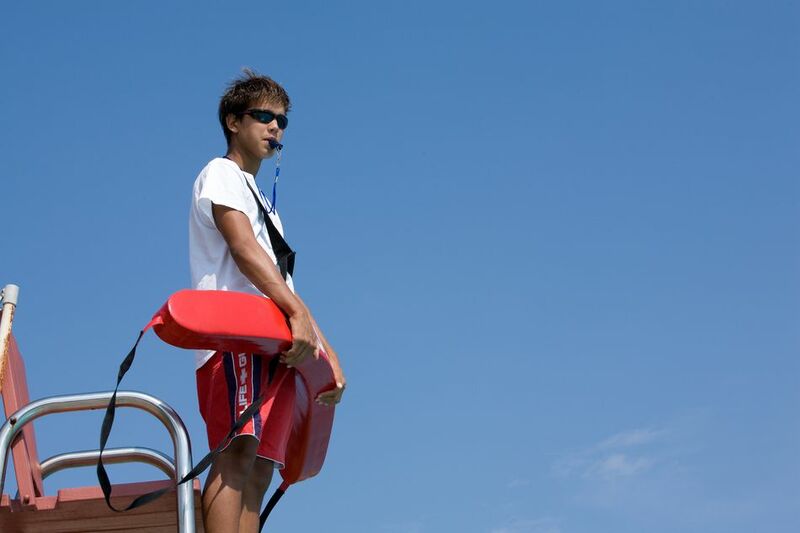 If you are a teen who likes to swim, then lifeguarding can be a great summer job. You'll get to spend time outdoors at the beach or the pool. Lifeguarding, of course, is not simply about hanging out but keeping other people safe. You may need to save a swimmer in distress. As a result, you'll need training and to be the type of person who can react quickly and calmly during times of trouble. Are you this person? How do you handle stress? Consider these questions before deciding to become a lifeguard. Typically 17-year-olds can work in retail stores; the laws vary by state. Check with your local ordinances to determine age restrictions and if you need a worker's permit and what the authorizing agency is. Many students get work permits from their school districts. Retail may mean you have to interact with customers, act as a salesperson or perform behind the scenes tasks, such as stocking and accounting for inventory. Do these duties interest you? If so, consider working in retail for the summer and beyond. Depending on the state labor laws in your area, you may be able to be legally hired by a restaurant. Common jobs at this age include busing tables, hosting and, in some areas, waiting on tables. Do you like to interact with customers? Working in a restaurant may be more suitable for extroverts, depending on which tasks you'll have to perform. If you're a hostess or waitress, you'll certainly need to be comfortable chatting up customers. If you're a busboy or dishwasher, you'll probably be fine, even if you're an introvert. Babysitting is a popular summer job to explore when school is out. And as a 17-year-old, you'll likely have an edge over younger teens vying for the same jobs. Parents realize that you're almost an adult and likely more mature and more of an authority figure for children than, say, a 12-year-old babysitter would be. The Red Cross offers babysitters classes to prepare teens for childcare work. Signing up for these courses can also make you a more competitive babysitting candidate because it can give you the training to perform CPR, the Heimlich maneuver and other life-saving measures, should a child you're watching need emergency intervention. If you're a teen who likes to golf, then a summer job working maintenance at the golf course could be the perfect summer job. Teens should explore jobs at places they like to spend a lot of time to find a summer job they will enjoy. Working on a golf course may also give you a chance to meet the industry players who can connect you to internships and other opportunities. A golf course is one of the places that offer opportunities to teens and tweens of all ages, so if you have a younger sibling looking for work, you both might be able to get summer jobs working on a golf course together.